I recently had jury duty in DeKalb County, Georgia, where I have been a resident for 15 years. In 15 years, I have received a summons for jury duty two times. I have never served on an actual trial jury. This is the ironic curse of being a trial lawyer. Most likely, I will never serve on a trial jury although my job involves persuading trial juries to see a case my client’s way. I have been in many, many courts throughout the State of Georgia and I am proud to say as a DeKalb County resident there is no better court experience than DeKalb County, from the deputies who check you through the metal detector, to the jury clerks who handle hundreds of jurors every day, to the courtroom staff of the trial judges, to the judges themselves. It is an extremely pleasant experience and trust me, I have been in many Georgia courthouses where that simply cannot be said. 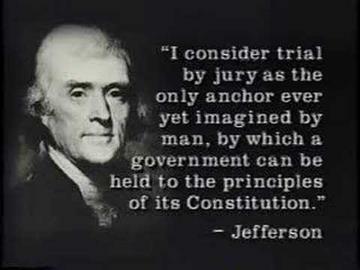 I believe jury duty is the Heart of American Government. A trial jury is the smallest form of self-government ever conceived. Government by the People for the People, right? Trial by jury was so important to our nation’s Forefathers they enshrined it in the Seventh Amendment to the U.S. Constitution. Said President John Adams about trial by jury: “Representative government and trial by jury are the heart and lungs of liberty. Without them we have no other fortification against being ridden like horses, fleeced like sheep, worked like cattle and fed and clothed like swine and hounds.” So with that attitude, I proudly stepped into the DeKalb County Courthouse, with jury summons in hand, not in my usual role as trial lawyer, but in the very important role as potential juror. Awesome! I can’t wait! I went through the process of jury selection, called Voir Dire in law school and never called that again by me. It sounds too pretentious, doesn’t it? And jury “selection” is a misnomer…it is actually jury “deselection.” Trial Lawyers don’t get to look at the jury venire (another pretentious word for the jurors from whom the trial jury will be struck) and pick who looks best to them. It is the opposite of that. Trial lawyers get (usually) six peremptory strikes to take off the jurors who seem like they would be horrible jurors for their side of the case, for one reason or another. 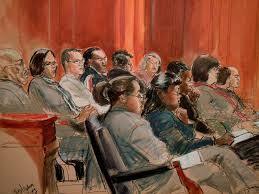 Each side of the trial strikes six jurors and whoever is left is your trial jury who will decide the case. Again, ironically, the jurors who end up deciding the case are usually the jurors you know the least about. They have often never even responded to any of your questions in “jury selection” so there were no red flags in their personal history to make you concerned about how they would see your case given their preconceived notions or their obvious leanings toward one side or the other. There are also strikes the Court (i.e., the trial judge) exercises called “strikes for cause” where it has been demonstrated that a juror could not possibly be impartial because of something that has happened in their lives perhaps so similar to the case to be tried that they have already made up their minds how the case should come out. Or maybe they have such deep religious beliefs that they are forbidden by their particular Faith to judge another human being and so would be incompetent to sit in judgment of another person. I was thinking about jury selection this morning as I was reading about the trial that begins to today in the Boston Marathon bombing. Jury selection in that Federal trial is estimated to take months and the jury venire from which a trial jury of twelve will be struck will consist of 1,200 jurors! Where in the courtroom do they put 1,200 jurors? Can a jury believe what it sees? That may seem like a stupid question, but a new study confirms it’s not. G. Daniel Lassiter, Ph.D., of Ohio University, recently conducted a series of experiments using focus groups and videotapes of criminal interrogations. Mock juries were shown exactly the same interrogation, but some saw only the defendant, while others had a wider-angle view that included the interrogator. When the interrogator isn’t shown on camera, jurors are significantly less likely to find an interrogation coercive, and more likely to believe in the truth and accuracy of the confession that they hear — even when the interrogator explicitly threatens the defendant. Professor Lassiter and other psychologists have consistently shown this “camera perspective bias” across a substantial series of experiments, finding in one study that even professionals like judges and police interrogators are not immune. Along the same lines we are definitely aware that people confess to crimes they did not commit. This has been proven scientifically time after time. But why?